A new, revised edition (2018) of the bestselling guide in the unique and internationally successful 500 Hidden Secrets series. These affectionate city guides are written by true locals, filled only with independent advice, based on thorough research and the author's personal opinions, and updated frequently. They are perfect for tourists who want to avoid the usual hotspots, and for locals who want to get to know their city even better. 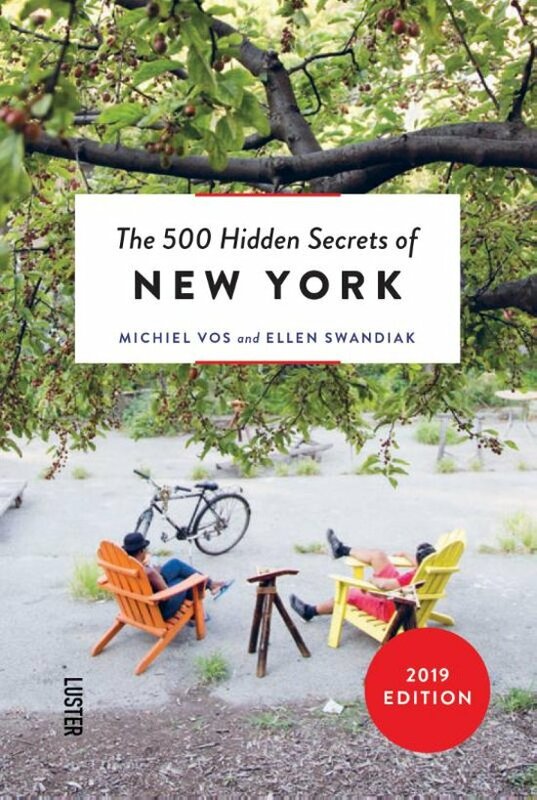 In The 500 Hidden Secrets of New York, Michiel Vos & Ellen Swandiak share their favourite addresses and secrets in the Big Apple. Discover the typical New York delis where locals order their favourite dishes, the 5 best media tycoon hangouts, the 5 most flashy and cool sneaker stores, the 5 best bars in Brooklyn, the 5 best stretches for running, the 5 best public library reading rooms...and 475 other addresses and facts that make New York the lively and unique city we all love so much. 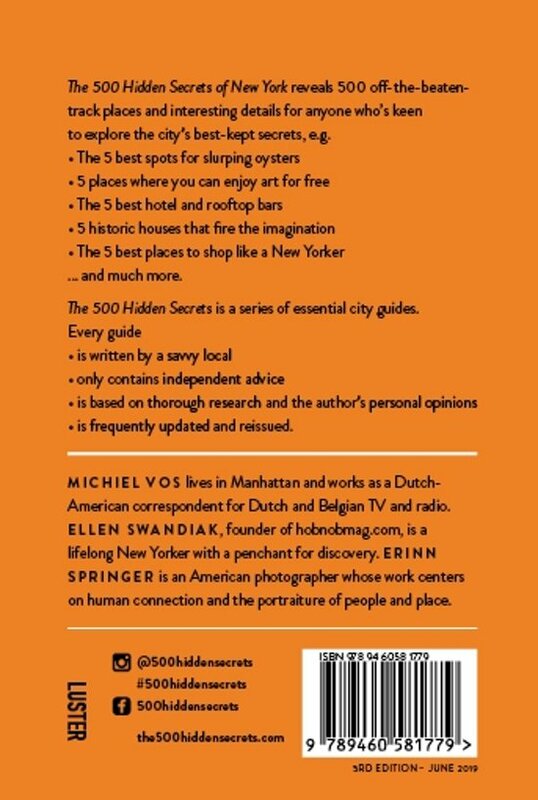 It is the perfect book for those who wish to discover the city, but avoid all the usual tourist haunts, as well as for residents who are keen to track down the city's best-kept secrets.